Charming City Park West rowhome, abundant with original character and modern updates! From the inviting front porch, you enter into a completely updated home with gleaming hardwood floors, refurbished bathroom and kitchen featuring quartz countertops and stainless-steel appliances. Bonus sunny space on the back of the unit and also a finished basement room (non-conforming) perfect to use as an office. Washer and dryer are in the basement, new central air and furnace as well. There are NO HOA fee's, party wall agreement only! 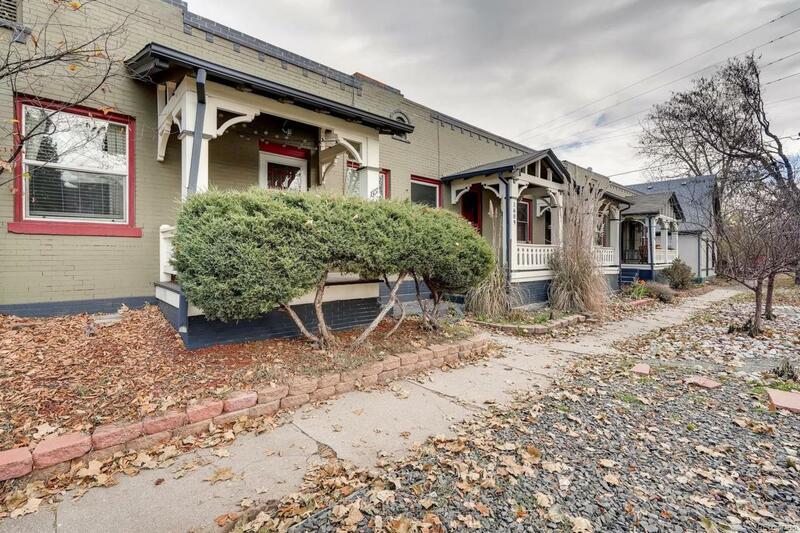 This location is simply amazing, you can easily walk to City Park and the hospitals, restaurants, coffee shops and pubs on 17th Ave. Only a 20-minute walk to the 16th Street Mall downtown. Low maintenance exterior, street parking right out front. Look and fall in love! Offered by Hammer And Park Real Estate..